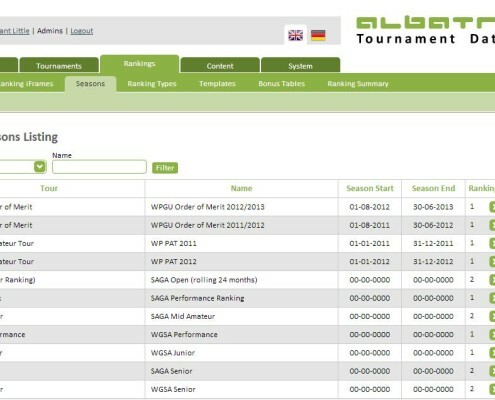 Redefining Tournament & Ranking Management! 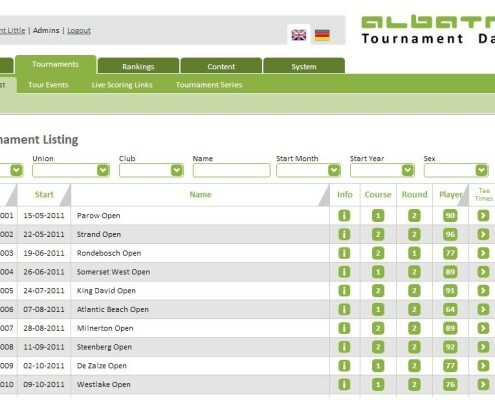 The Albatros Tournament Database (TDB) is a web based software product that stores data on tournaments. The TDB allows its user’s to manipulate this data into solutions that fulfill their objective and goals. These objectives range from national player rankings to tournament schedules. The TDB is currently used by the South African Golf Association, Womens Golf South Africa and Western Province Golf Union. 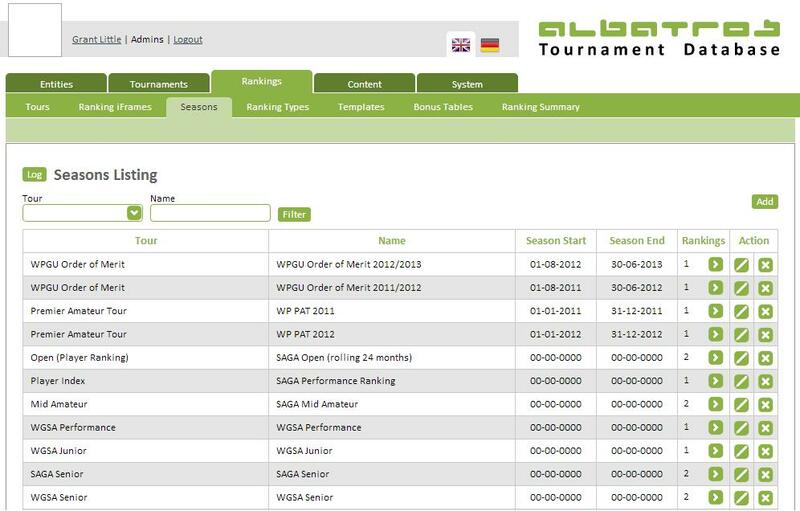 These organisation’s use the TDB to control tournament information on their websites, calculate and display player rankings and to provide tournament scheduling and details. The TDB is an easy to use software system that helps you manage large amounts of data. It can be accessed from any device with an internet connection. See below for the features of the TDB and some of the solutions that it may offer for your current problems. The TDB allows its user’s to add, update and manage players, based on a variety of criteria, into a position based ranking system. 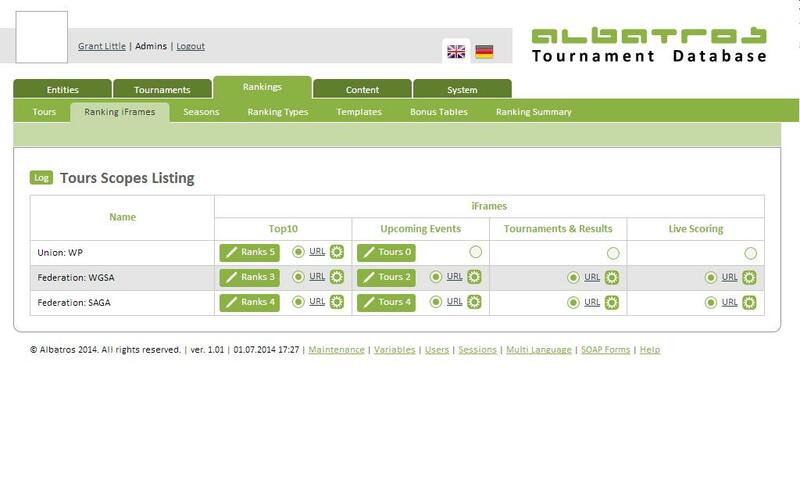 The TDB allows its user’s to organise upcoming tournaments in variety of different ways. 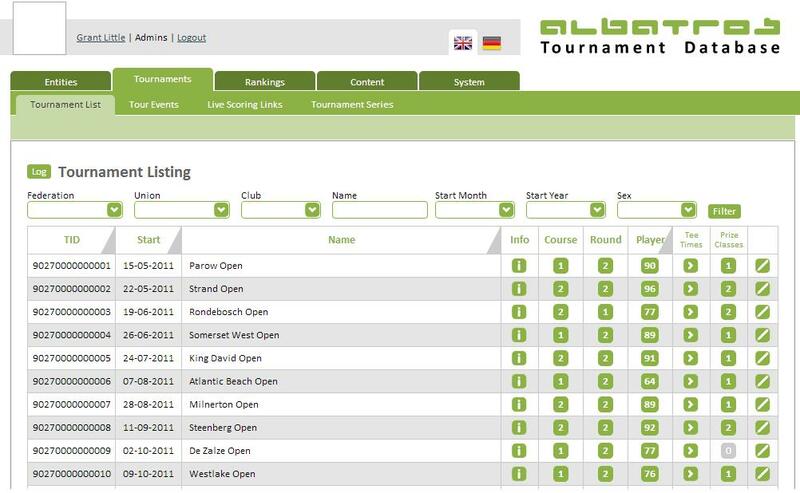 The TDB’s well designed and easy to use interface allow users to access, edit and review tournament, course and player information. The TDB provides well designed Iframe’s that display pertinent information. These Iframes can be embedded in a website so as to provide instant information transfer. Still wondering if the TDB is for you? … answer some of the questions below to help you decide! Do you use long excel douments with many different formula’s to calculate your player rankings? Do you have manual tournament schedules that are difficult to edit and display? Do you want transparency, easy information updates and no calculations? Do you rely on an outsourced service provider to update your rankings? Do you want instant information on your website? Answered “YES” to any of our questions? The TDB may be the solution for you!